August 15, 1828 was the birthday of my 3rd great grandfather, Rice Benjamin Carpenter. Rice was born to Benjamin Carpenter and Nancy Rice. He was the eighth of ten children, the first five born in North Carolina, and the last five born in Mississippi. When he was 17 years old in 1846, he married my 3rd great grandmother, Mary Ann Rodgers. The Carpenter and Rogers families lived near each other and Rice and Mary Ann had grown up together. Rice and Mary Ann had five children: Martha Lettie (my 2nd great grandmother 1848-1933), Benjamin Hays (1850-1929), William Travis (1854-1856), Charles Clinton (1858-1890), and a son with the initials MF (1862-1863). As you can see by the dates, William Travis died at the age of two, and MF died as an infant. 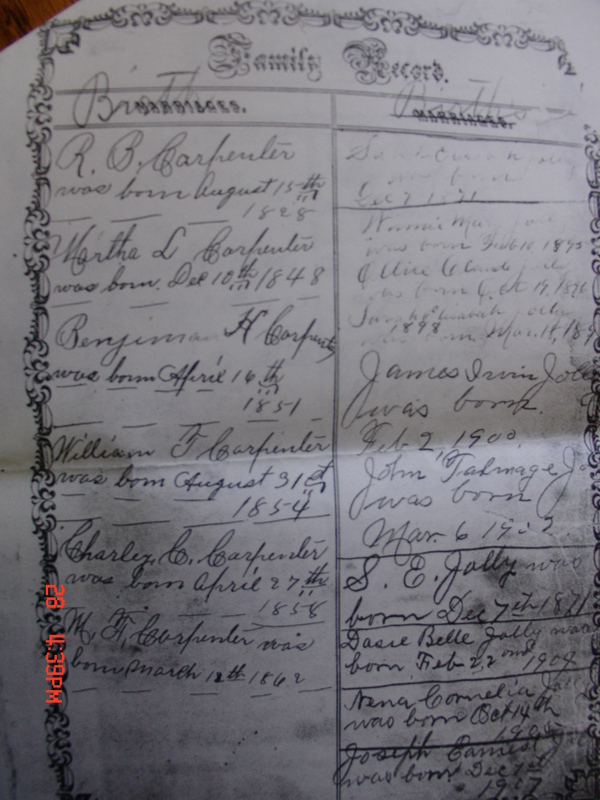 His full name is not known, but his initials are written in the family Bible, as you can see on the bottom of the first column in the photo. Rice and Mary Ann set up house on land they got from Mary Ann’s father, but sometime around 1860, they sold the land and moved to the town of Marion Station in Lauderdale County, Mississippi, to open a general store. Abandoning the farm so Rice could become a merchant was probably their way of starting over after losing their first son. The excitement of a new life was not long-lived, however. In February of 1862, with Mary Ann eight months pregnant, Rice signed up for the 41st Infantry Regiment, the Cole Guards, and prepared to fight in the Civil War. On 31 December 1862, his company found themselves in Murfreesboro, Tennessee (only 25 miles from my house) where they met the Union troops head-on at the Battle of Stones River. 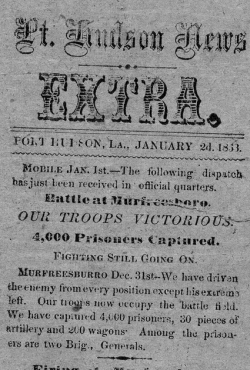 As you can see in the Port Hudson News, the newspapers were reporting a successful campaign for the Rebels, but Rice was not so lucky. He was killed in the very first charge. Rice’s son MF had been born March 12, 1862. In February of that year, Rice had signed up to fight, but is shown as absent until May. Perhaps he did get to spend time with his youngest son. On the 150th anniversary of the battle, 31 December 2012, I visited the Stones River National Battlefield in Murfreesboro. The man there told me the battle that took place on 31 December actually happened about two miles up the road in what is now a golf course. 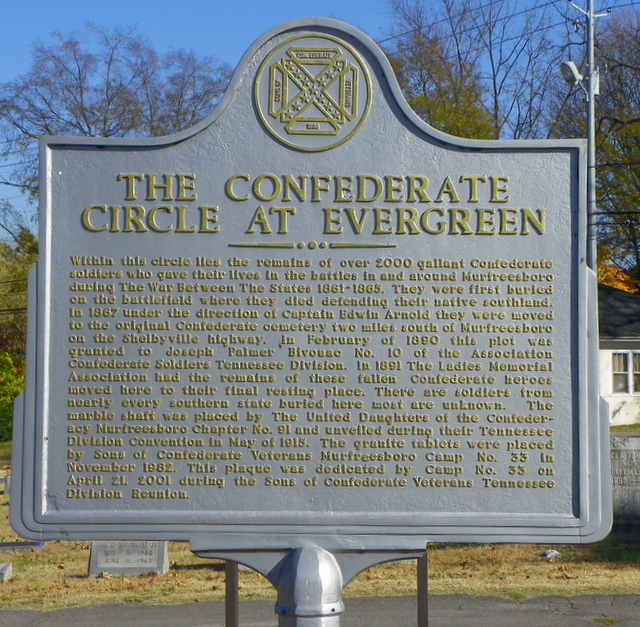 The Confederate Circle was established at Evergreen Cemetery in Murfreesboro in 1890, and in 1891 all of the remains of soldiers from local areas were re-interred in a mass grave there. Of the 2000 soldiers buried in the Circle, about 90% are unknown or not recorded in the records – one being Rice Benjamin Carpenter. He left behind a grieving widow and three children ages 14, 12, and 4. Rest in Peace, Grandpa Rice. Mary Ann’s story is told in my book Okatibbee Creek. This post is brought to you by On This Day available at Amazon. My cousin, Frances Culpepper (photo), was born in England in 1634 to Thomas Culpepper and Katherine St Leger. 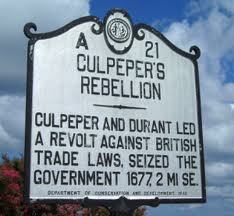 Thomas’s brother, John Culpepper the merchant, was my 10th great grandfather and will play a role later in her life. Frances was baptized 27 May 1634 at All Saints Church in Hollingbourn, where all of the family at that time was baptized. 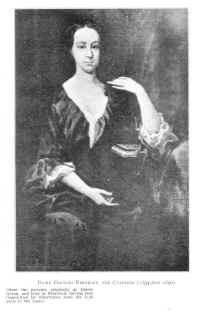 Her siblings were: Mary (1629-30 who died as an infant), Ann (1630-95), Alexander (1631- 24 Dec 1694, Surveyor General of Virginia), and John (1633-74 who often gets confused with John the Carolina Rebel, son of John the merchant). Well, doesn’t that make you want to know more about her? Her father, Thomas Culpepper, was one of the original proprietors of the northern neck of Virginia when the Virginia Charter was formed, transferring control of the colony from the Crown to individual investors. Following King Charles I execution, Thomas moved his entire family to Virginia in 1650 when young Frances was only sixteen. When she turned eighteen, she married the governor of the Albemarle settlement in what is now North Carolina. He was also the owner of Roanoke Island. Yes, where the very first colony disappeared from. His name was Samuel Stephens. Samuel and Frances lived for seventeen years on his 1350-acre plantation called Boldrup in what is now Newport News, Virginia. The plantation land and the house’s crumbled foundation is all that is left today and is listed on the National Register of Historic Places. 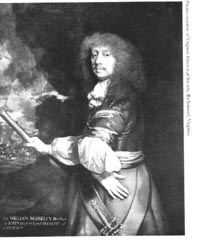 Following Samuel’s death in 1669, Frances inherited his large estate and in 1670, she married yet another politician, Sir William Berkeley, Governor of Virginia (photo). They took up residence at his estate called Green Springs (photo) near Williamsburg, Virginia. Today, about 200 acres of the original plantation land is preserved by the National Park Service, which acquired the property in 1966. In 1676 (100 years before the Revolution and the same year her cousin John Culpepper the Rebel was causing problems in Carolina) there was a dispute with the local Indians who had been chased north by militiamen. The Indians raided the Virginia frontier out of anger, hunger, revenge, who knows? Some colonists saw this as an opportunity to isolate or kill the Indians, some saw it as an opportunity for new slaves and lands. It was typical politics with each side rallying for their own cause. 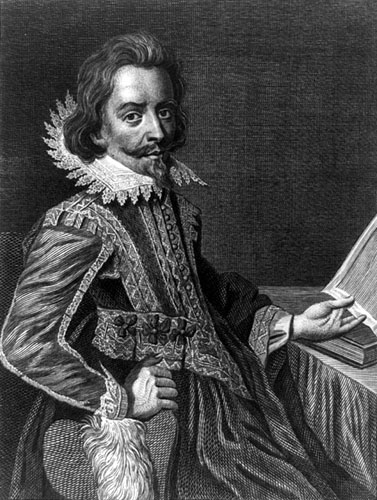 A newcomer to the land and the local Virginia Council was Nathaniel Bacon (photo). He asked Sir William Berkeley to form a party to kill off the Indians, but Berkeley refused as some of the Indians were Virginia’s closest allies. In defiance, Bacon raised a group of volunteers to fight the Indians. This led to a civil war of sorts, with Bacon’s followers against Berkeley’s loyalists. It also became a personal vendetta. At one point, tiring of Bacon’s threats, Berkeley bared his chest and dared Bacon to shoot him. After the public display, Berkeley threw Bacon out of the Council, later reinstated him, and then threw him out again. Berkeley ended up being chased out of town by Bacon’s men, who burned down the capital. Bacon died of dysentery in Oct 1676, but the fighting continued for a few more months without his leadership. 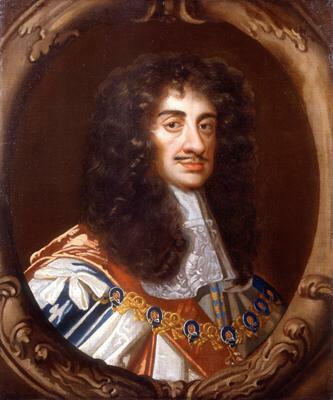 Frances sailed to England on her husband’s behalf to ask King Charles II (photo) for help, and the King, unaware that Bacon was already dead, signed a proclamation for putting down the rebellion. He dispatched one thousand troops to Virginia, along with a commission of three men to find out what the hell was going on. By the time the soldiers arrived, without Bacon’s leadership, the rebellion had died down. The three members of the King’s commission watched Berkeley identify Bacon’s men as traitors and witnessed the hanging of twenty-three of them. Once the commission reported this back to King Charles II, he summoned Berkeley to return to England to explain his actions. As soon as spring arrived, Berkeley sailed to England to plead his case with the King. He became ill on the journey and went directly to his brother’s house in London upon arrival, where he died in July 1677 before getting a chance to tell his side of the story to the King. Frances didn’t receive the news of his death for months. When John Culpepper the Merchant was fifteen years old, he attended Middle Temple, which was a law school. There he met a young William Berkeley, who was not a “Sir” at the time, and the two became fast friends. Though John was trained as a lawyer, he was more inclined to be a merchant, and in 1633, he bought a ship with his brother Thomas (Frances’s dad) called the “Thomas and John.” The ship delivered immigrants to the new world and shipped cotton, tobacco, and the like back to England. This was probably the vessel Frances and her family sailed on in 1650 to move to Virginia. During the rebellion, Frances and William Berkeley needed money to sail back and forth for this rebellion nonsense and they sold off Roanoke Island. Uncle John Culpepper was the lawyer who oversaw the sale of the land to the Lamb family, witnessing William Berkeley’s signature on the deed. In 1680, Frances married her third husband, Col. Philip Ludwell (photo) of the 4,000-acre Rich Neck Plantation. 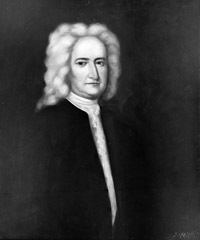 Ludwell had been a chief supporter of Berkeley during the rebellion and also his cousin. Hmm. Frances never relinquished her title however and was known as Lady Frances Berkeley for the remainder of her life. She died around 1695 at the age of 61. Her body is interred at Jamestown Church Cemetery in Jamestown, Virginia. As for Col. Ludwell, after serving as governor of the Colony of Carolina 1691-94, he returned to Virginia where he served as Speaker of the House of Burgessesin in 1695-96. In 1700, he moved back to England where he died in 1716. 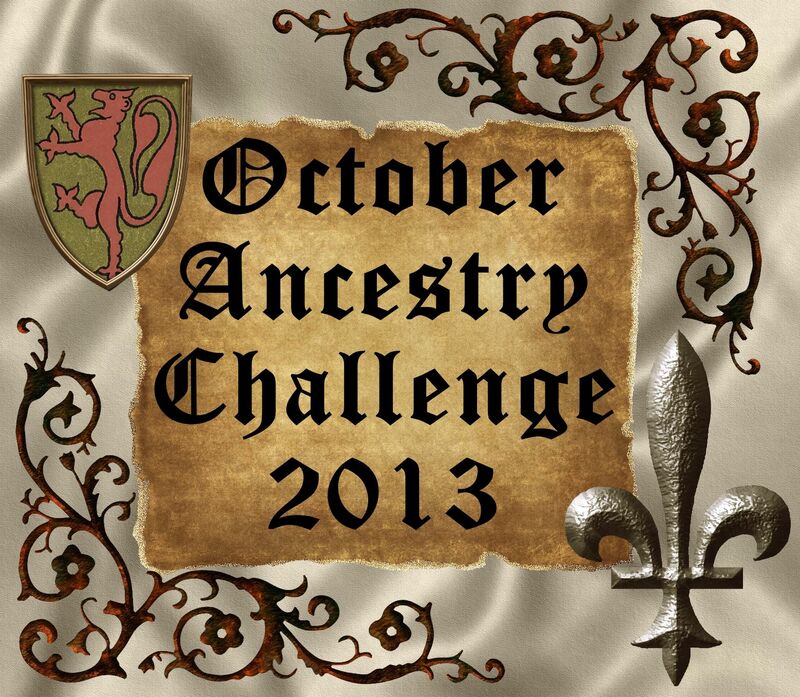 As with other blogs on my site, this is about my ancestors–the Rice family. My 3rd great grandfather was Rice Benjamin Carpenter. He was born in 1828 and died during the Civil War serving the Confederacy at the battle of Stones River in Murfreesboro, TN on 31 Dec 1862. He left behind a wife and four young children. 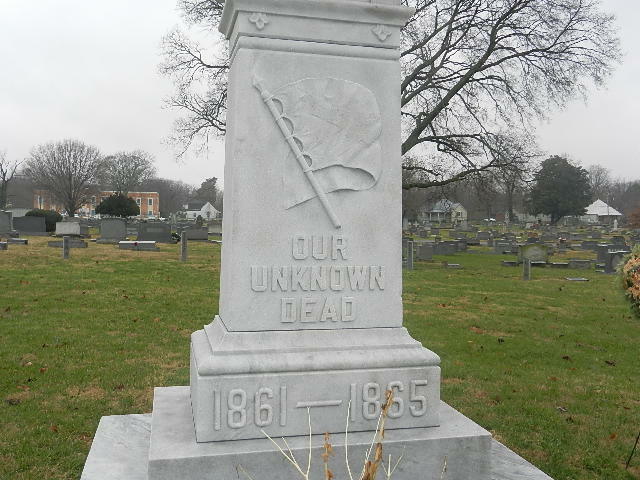 He is buried at the Confederate Circle at Evergreen Cemetery in Murfreesboro. His first name came from his mother’s family—the Rice family. His mother was Nancy Rice, born born 1791 in NC. At some point around 1834ish, she and her husband, Benjamin Carpenter, packed up their home and five children and moved to Lauderdale Co, MS. After arriving there, they had five more children. Nancy and Ben both died in Lauderdale Co in 1870 and 1865, respectively. Nancy’s father was John B Rice (I bet the B was for Benjamin). John was born in 1755 in NC and died there 29 Apr 1836. He married Elizabeth Hopkins, who was also born and died in NC. They had at least eight children in the late 1700s, including a son named Hopkins Rice. Is this getting confusing yet? John served in the American Revolution (pension no 59062). That makes at least 3 grandfathers of mine who served. One of my genealogy buddies found the following in a Rice Family archive. It reads to be from a slave’s descendant. John’s father was Jared or Jerret Rice. He was born around 1730. He married Lettie Potts and they had at least six children. They lived in NC. My second great grandmother (Rice Benjamin Carpenter’s first child) was Martha Lettie Carpenter Blanks. I always wondered where the name Lettie came from. Now we know.